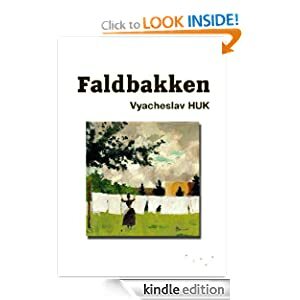 Start reading Faldbakken on your Kindle in under a minute. Don't have a Kindle? Get your Kindle here. Vyacheslav Huk was born on the15th August 1974, in Saky, in the Crimea, Ukraine. He obtained his higher philological education at the Simferopol State University and since 2003, he has been a member of the National Union of Writers of Ukraine. Vyacheslav has published six books of poetry and five novels: 'The Syndrome of Childhood Memories' (2008), 'The Garden of Galatea' (2008), 'The Myrdal-fisk or Рhilosophy of Northern Solitude' (2009), 'Simpheropol’s Virginia' (2010), 'Gentle Skin or Veronica & Monica' (2010). In 2007 he received an award from the President of Ukraine for young writers for his novel 'The Syndrome of Children Memories'. His novel, 'The Garden of Galatea' was a Ukrainian response to the American novel by Nicole Krauss, 'The History of Lovе'. Recently he learned that in Germany, it is thought that 'The Garden of Galatea' was written in «the language of Galician Jews».